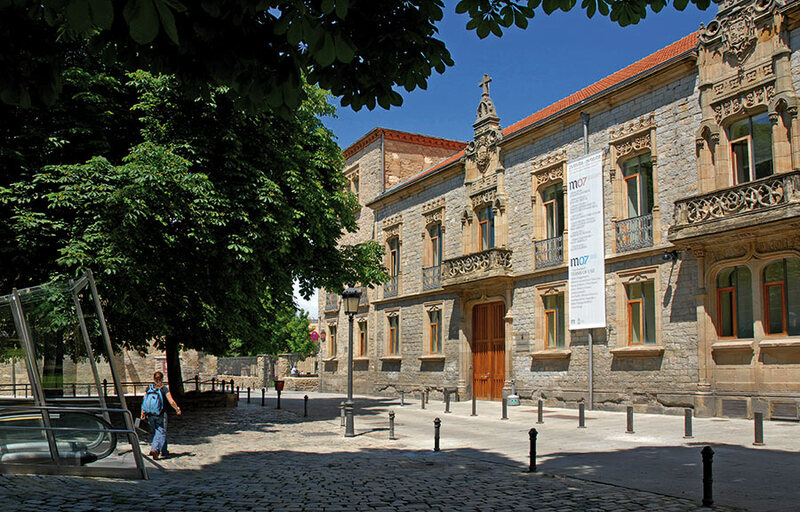 Montehermoso Palace is one of the first stately buildings built in Vitoria in the 16th century. The nobleman Ortuño Ibáñez de Aguirre and his wife María de Esquivel y Arratia ordered to build it. This building was used by the Church, although there are now few remains of it due to the passing of time. The current façade, built at the end of the 19th century, has a rectangular plan of two floors and a three-storey towers in the corners. In addition, nowadays and after the restoration in 1997, the palace is connected to another historic building, the ancient Depósito de Aguas (Water tank) built in 1985. 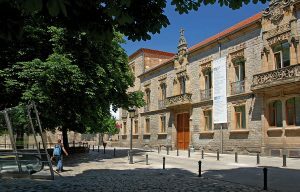 The complex makes up the Montehermoso Cultural Centre. This combination has enabled the recovery of a historic building and the creation of a new space for exhibitions and great events, where, in addition, three other rooms of small size for courses, seminars and exhibition can be found. Besides, the centre is surrounded by gardens and this space completes this multicultural service offered by the Montehermoso Culture Centre.